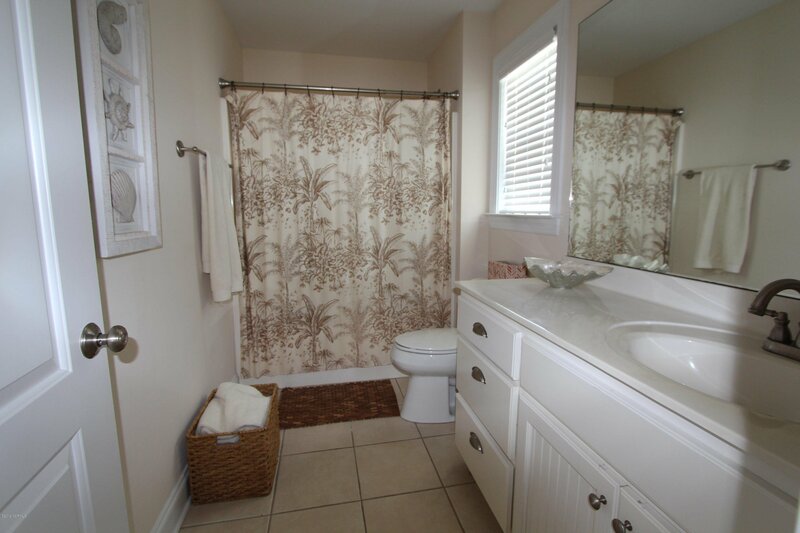 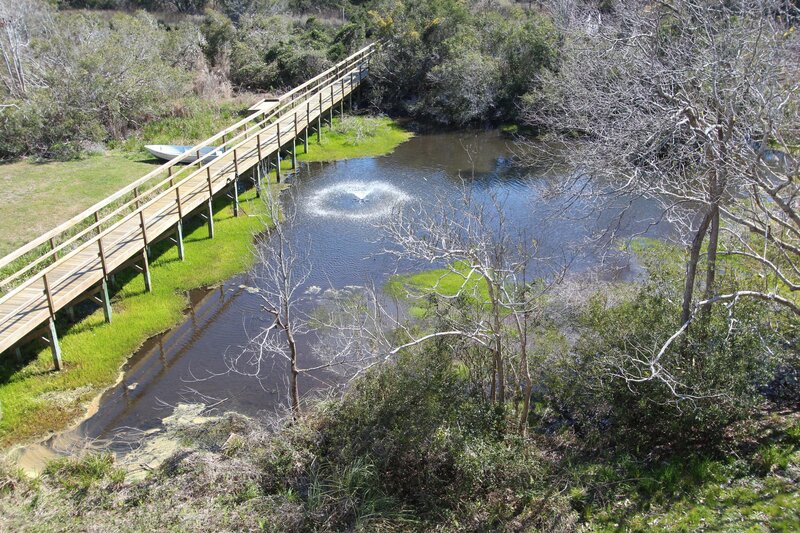 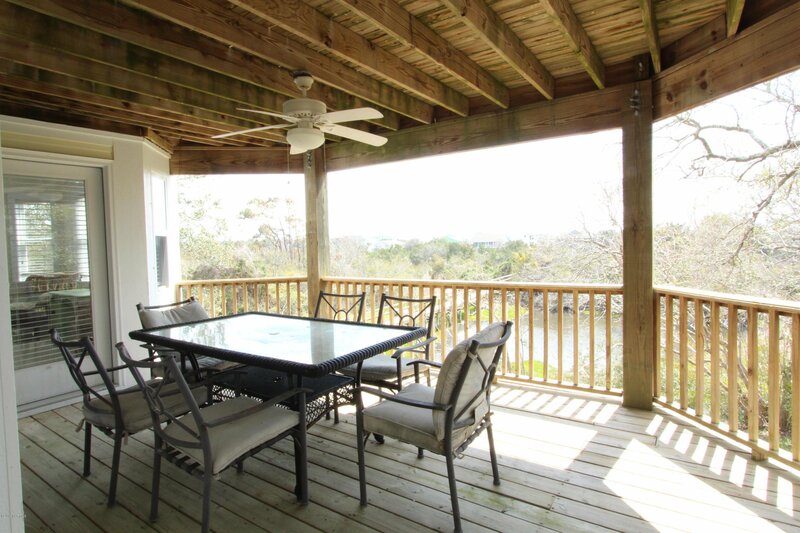 This is a special home with POND, CANAL, and OCEAN views!! 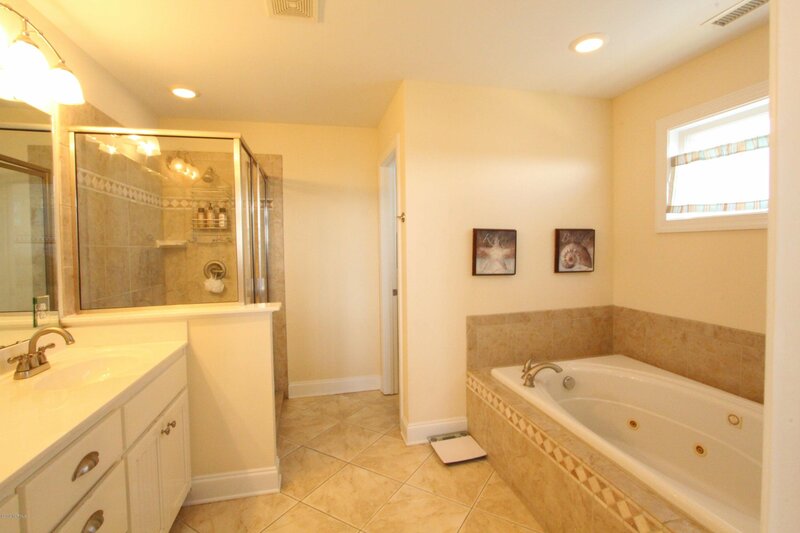 The quality is evident in this unique home featuring 2 master suites, reverse floor plan and 3 1/2 baths. 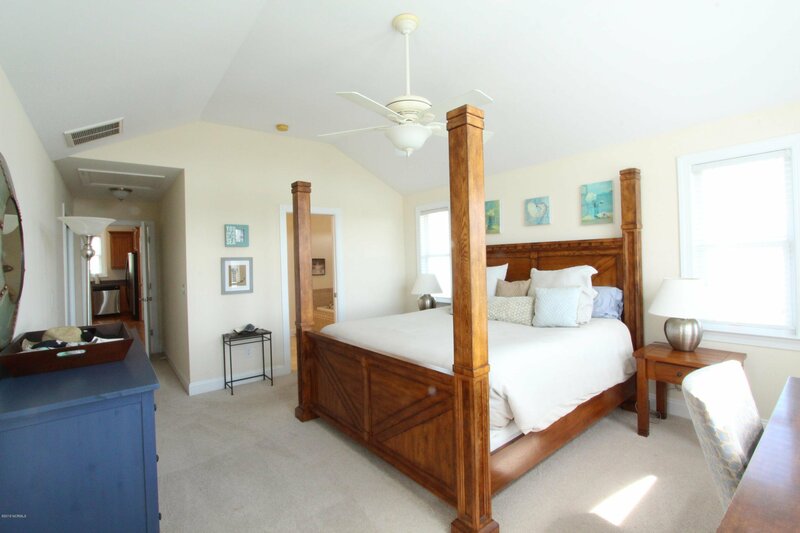 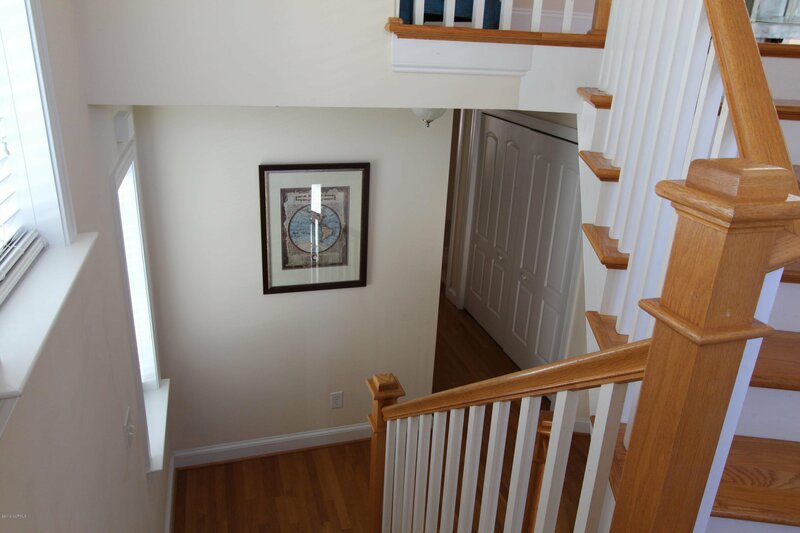 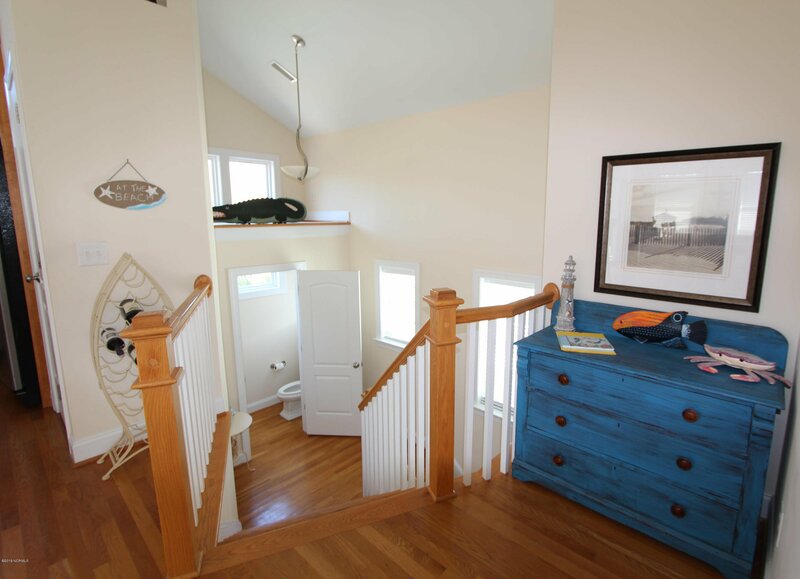 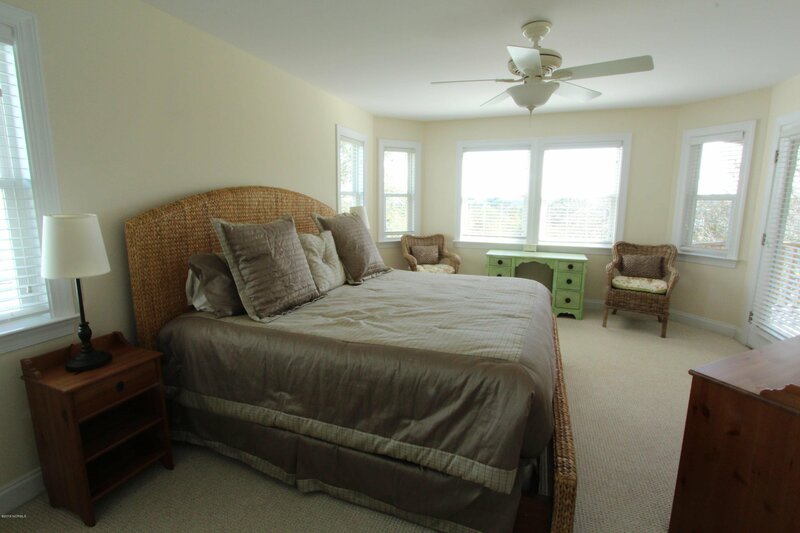 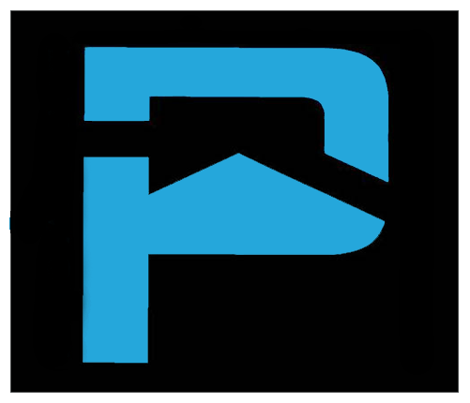 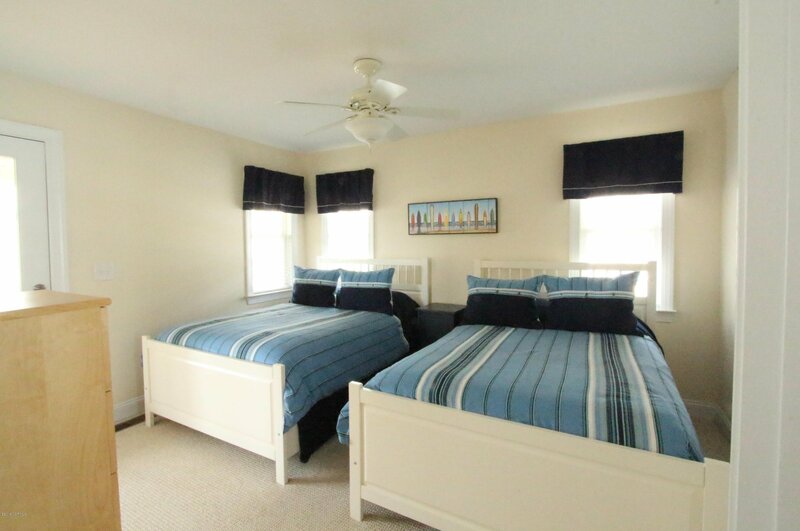 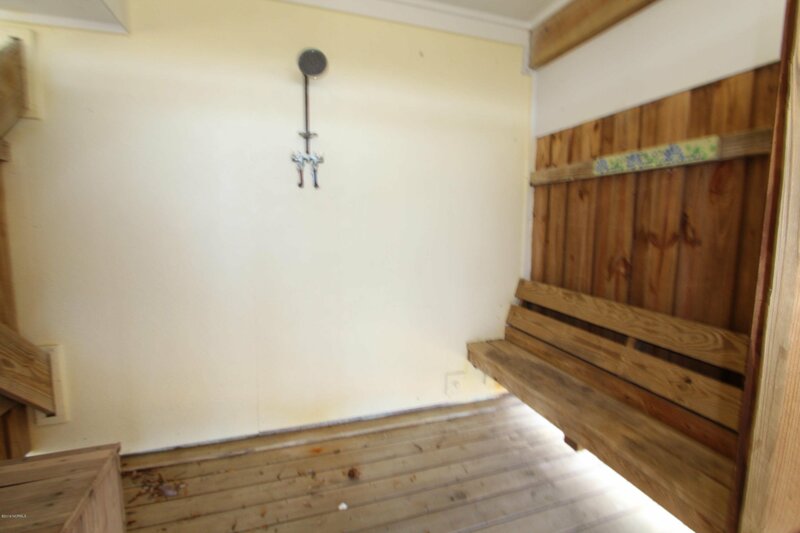 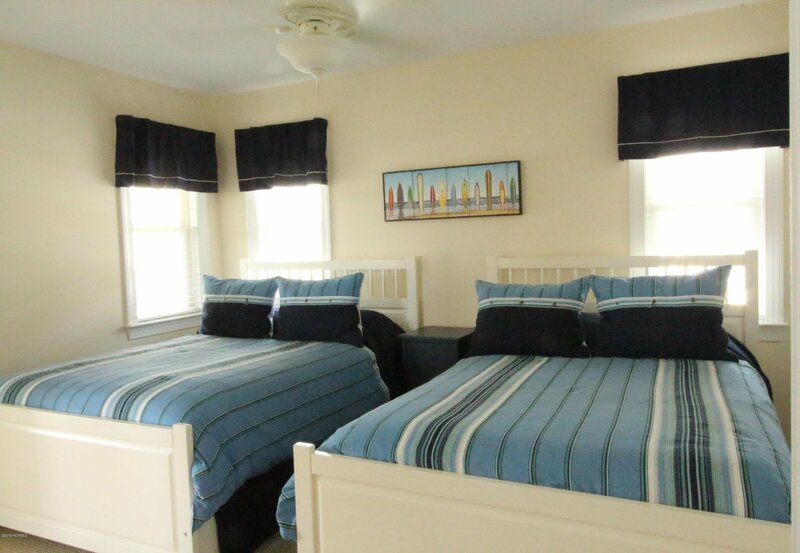 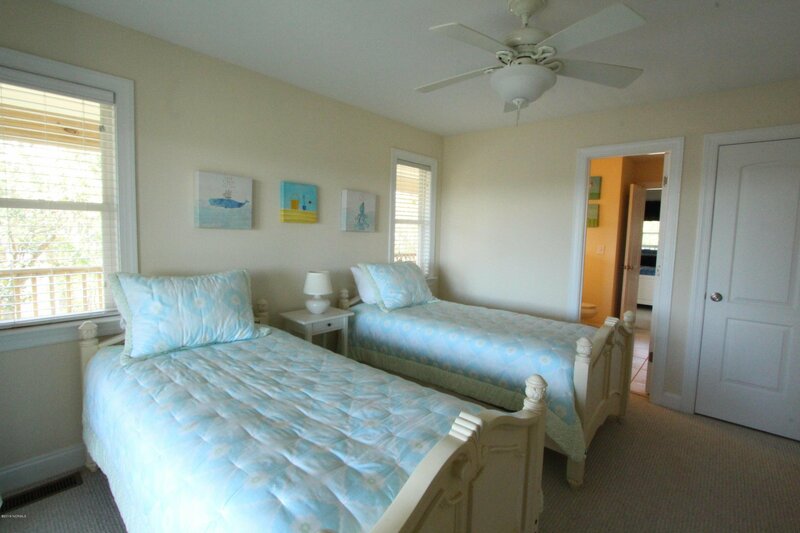 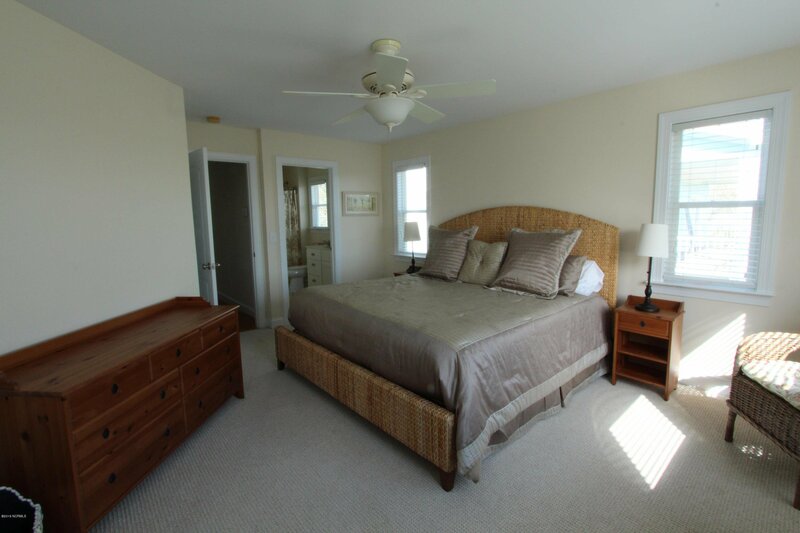 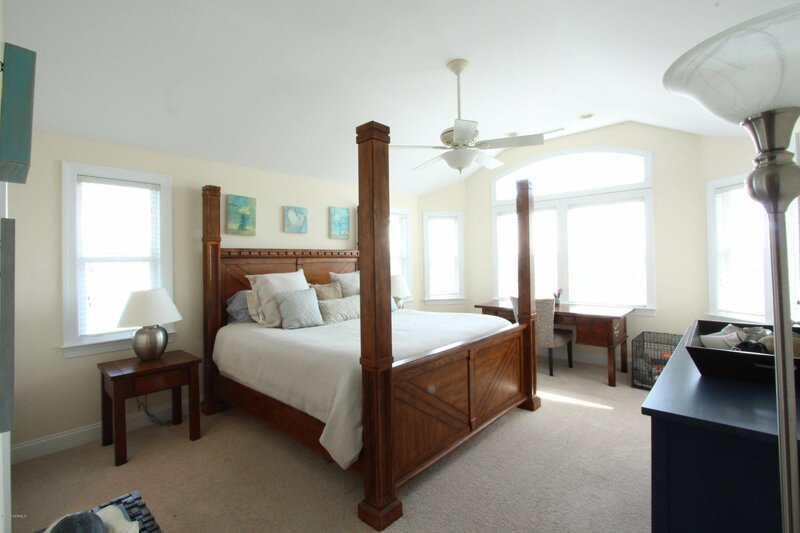 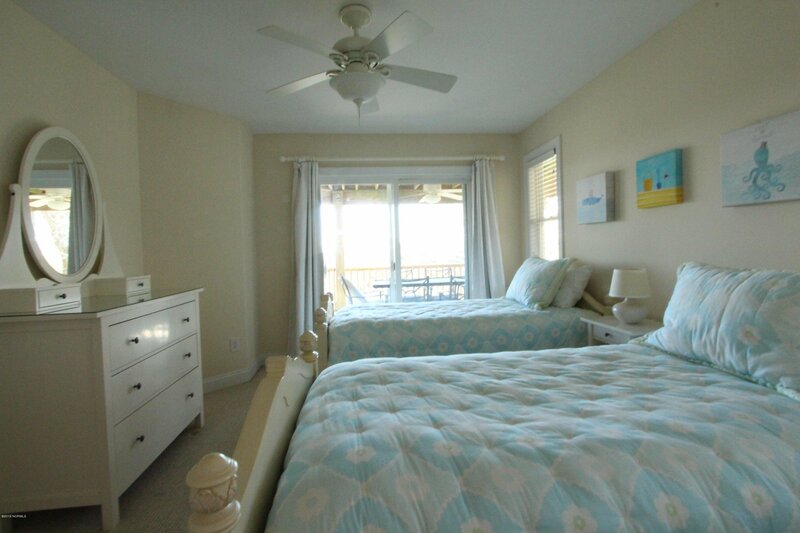 Every bedroom has direct access to an outside deck. 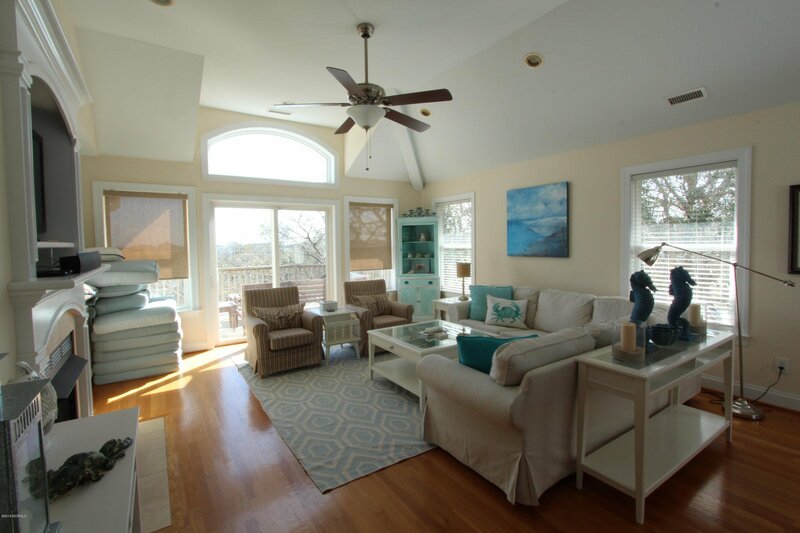 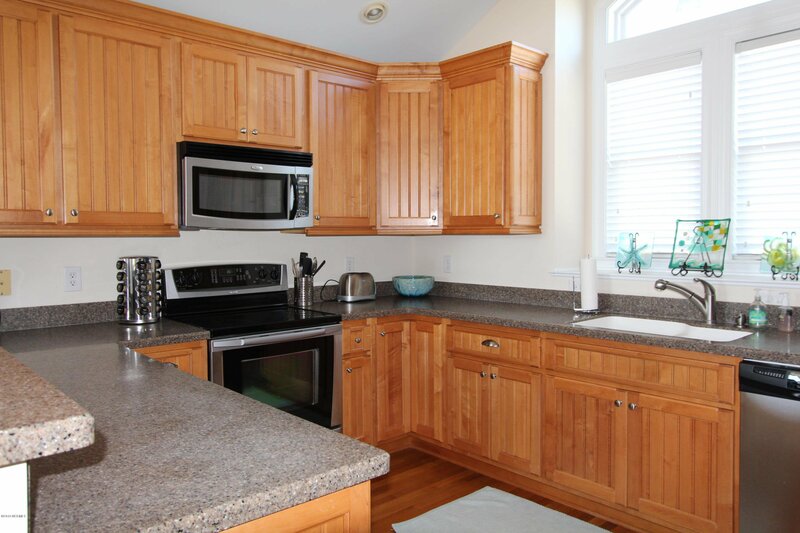 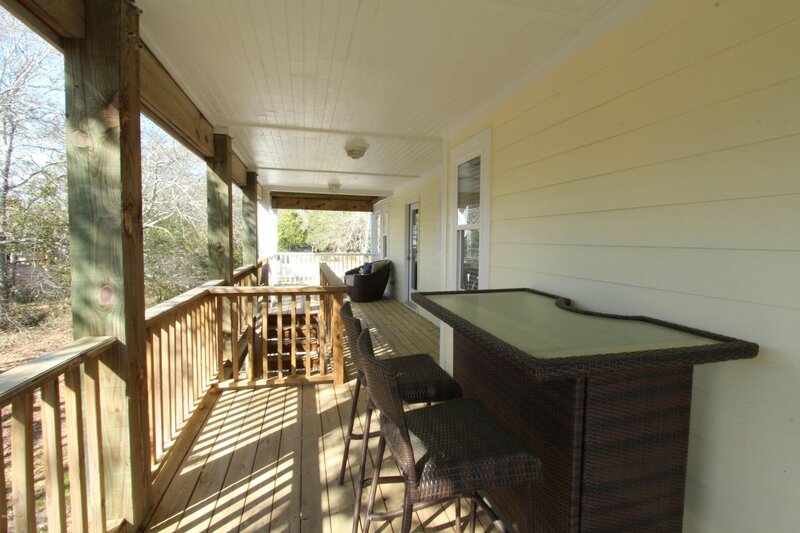 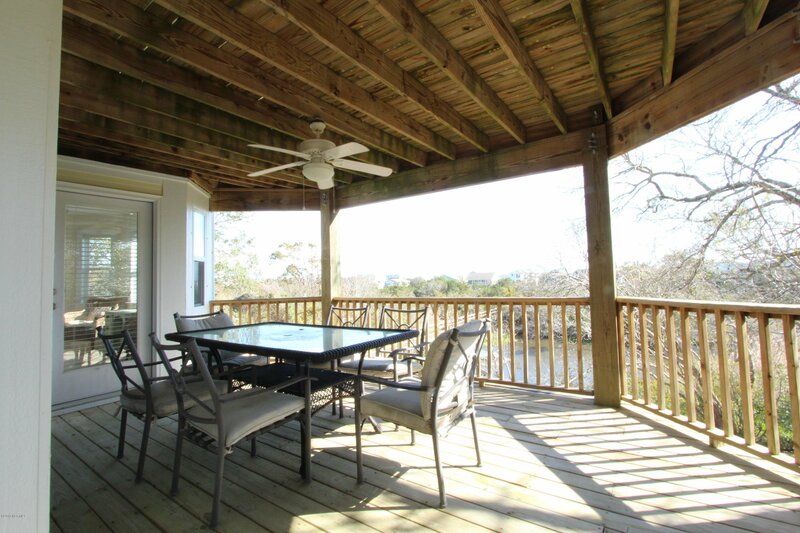 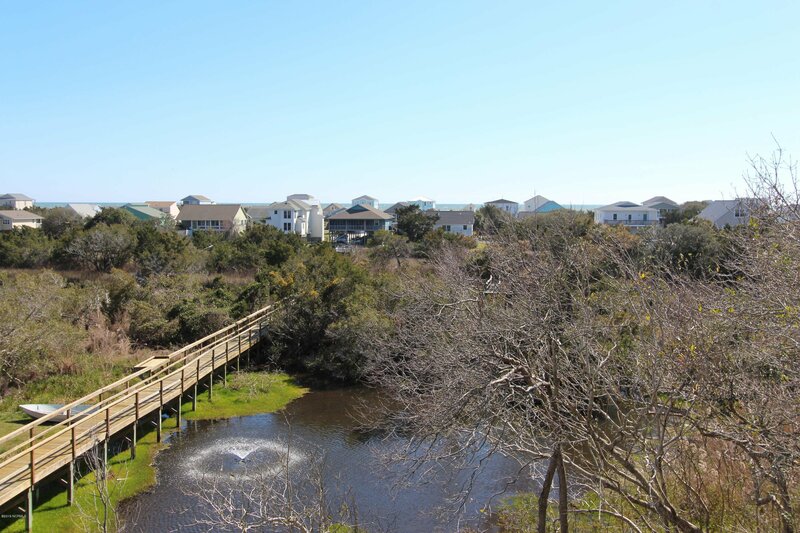 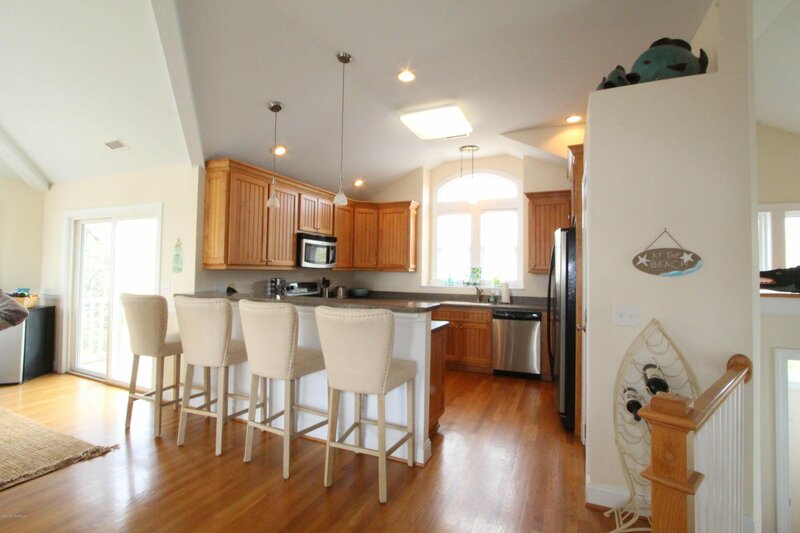 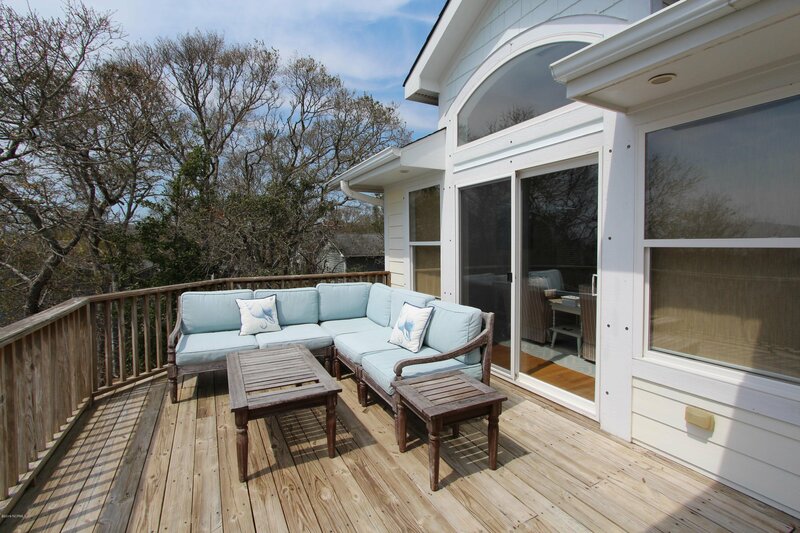 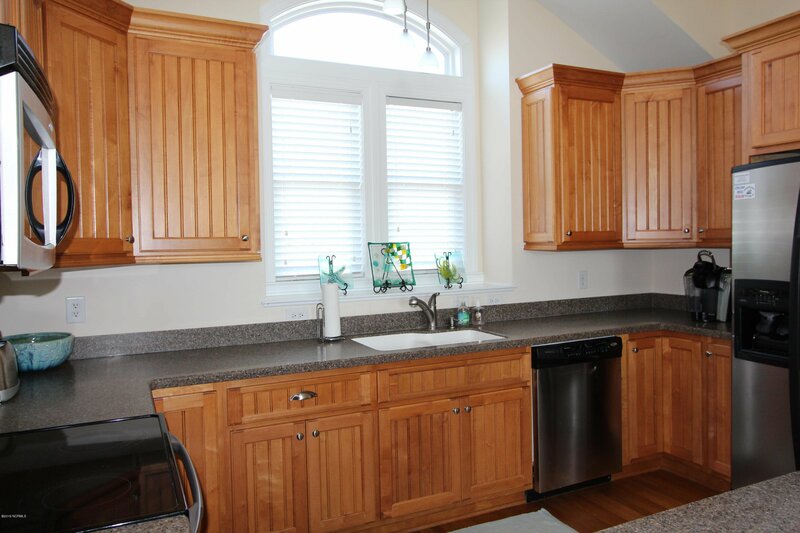 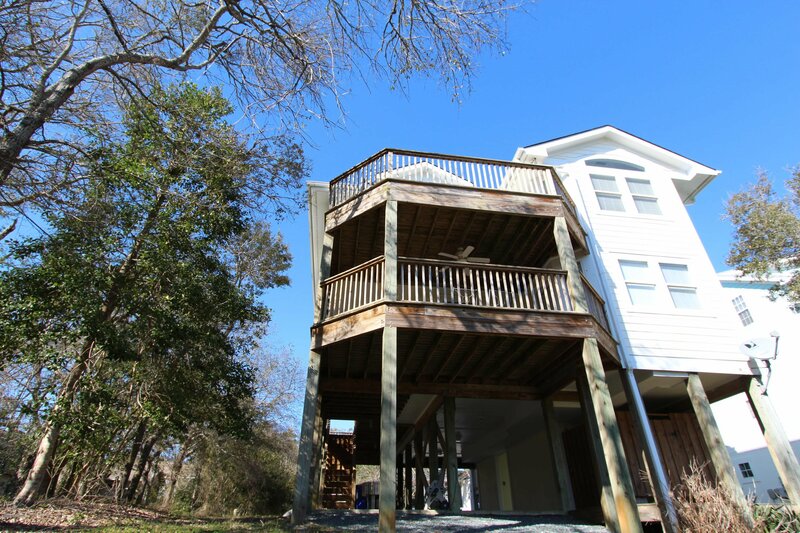 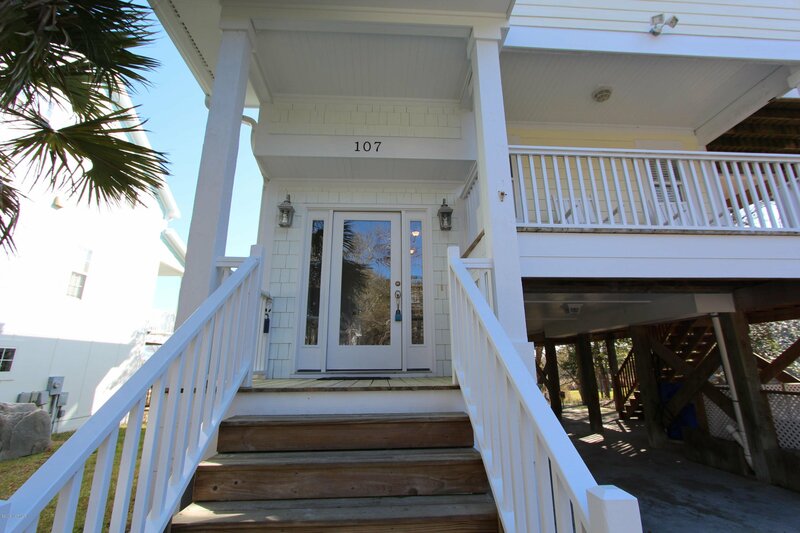 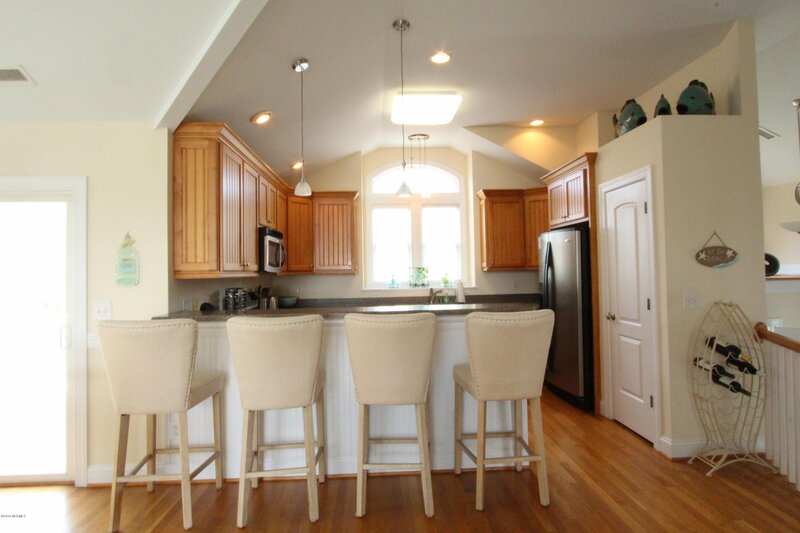 There are ample covered porches and open decks to capture the gorgeous views! 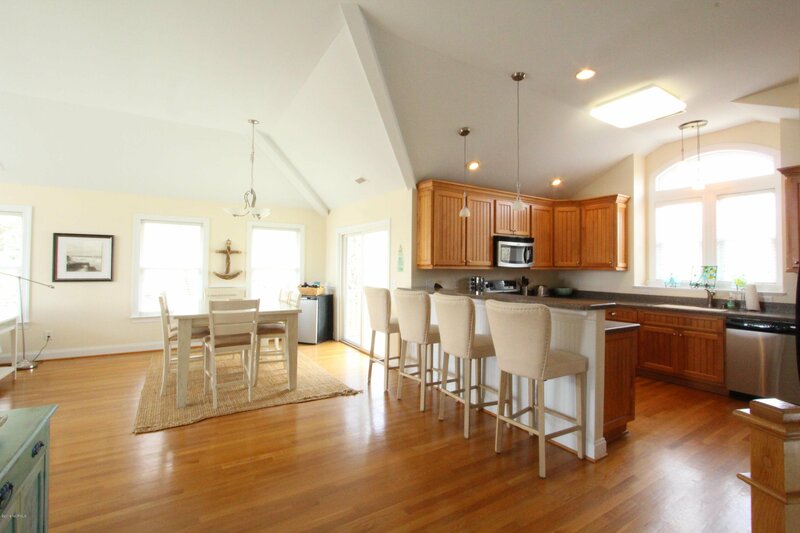 Vaulted ceilings, open floor plan, hardwood floors, and a fireplace in the great room with built in cabinets are here to enjoy. 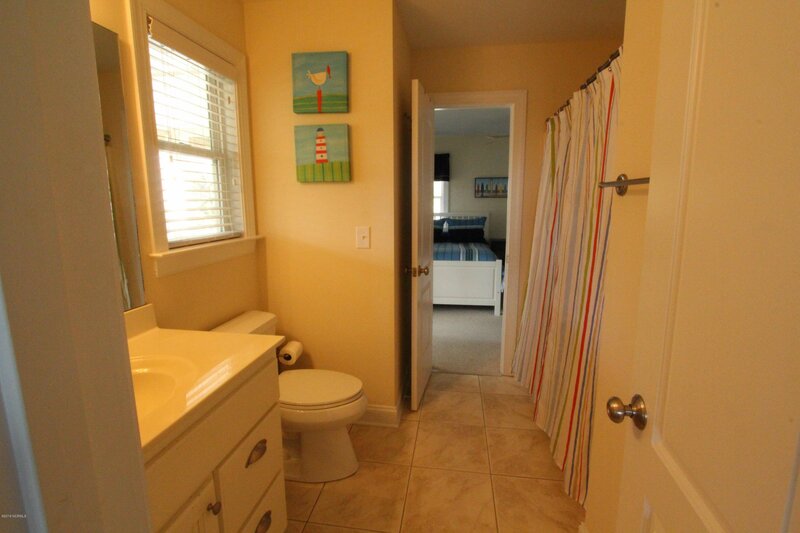 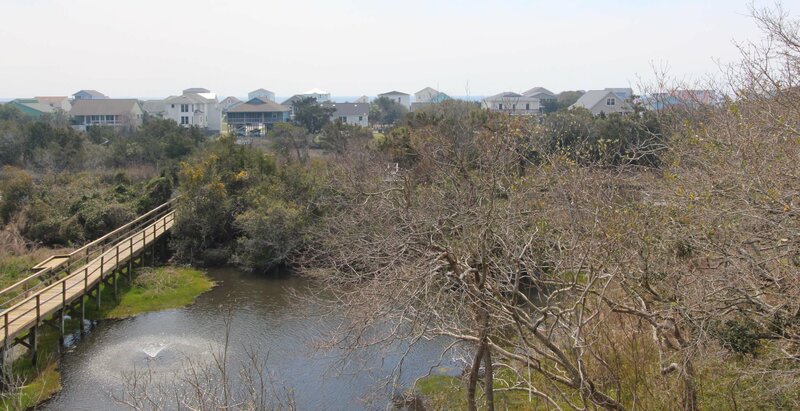 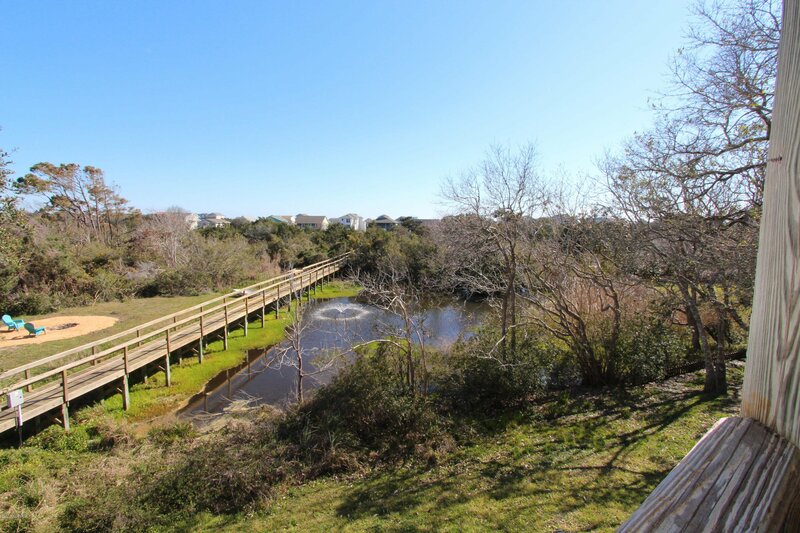 This property is private on a ''flag'' lot on a dead-end street yet its unique location allows for marsh, pond, canal and ocean vista views. 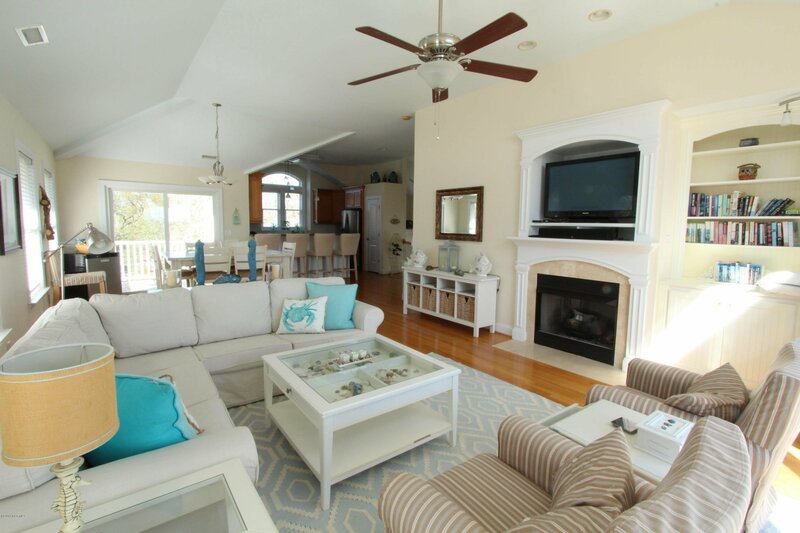 The home is gorgeous! 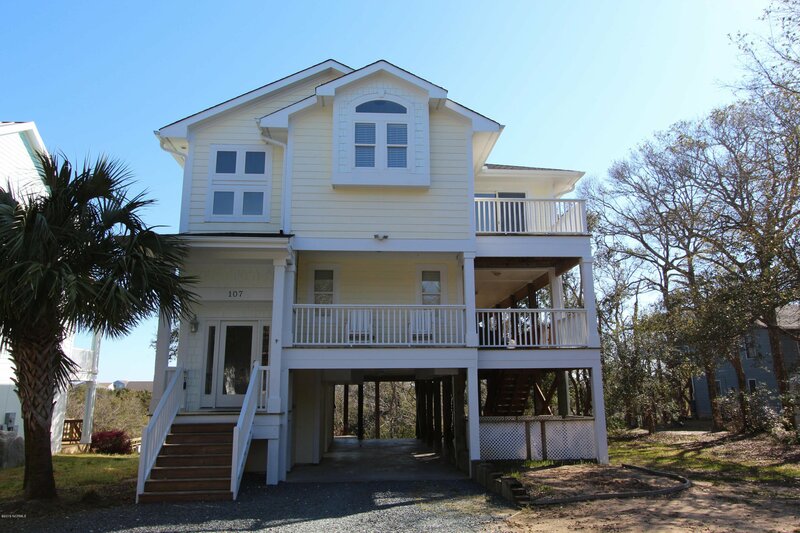 This is a VERY special property at the beach, one of a kind.